We love our Eastwoods here at The Music Zoo! 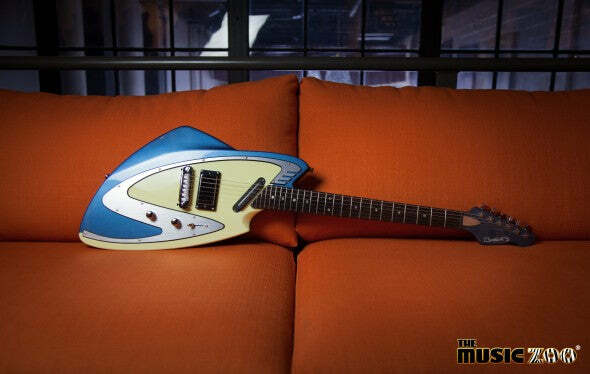 So we were stoked to find out about their newest upcoming build - a Crestwood Astral II reissue - a guitar that Jack White used in his early days. The Music Zoo is an Authorized Eastwood Guitars Dealer!